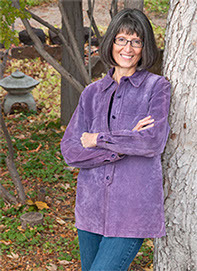 Read her latest Author Spotlight interview where Becky talks about her Kate Neilson series, the writing experience, her upcoming books and life in general. Don't miss it! Read full article here on beckylyles.com. Sometimes I wonder if I should be writing nonfiction rather than fiction. You know, something more profound and educational. And then I read a scene in a novel that teaches me about another country or culture or zaps me between the eyes with an attitude I need to correct, like the novel I just finished. Truth is, a good short story or fiction book mirrors real life and challenges us to become better people as we observe the characters becoming better people. Read full article here on beckylyles.com. Think of all the great things you did for your health over the summer. You left your air-conditioned house and went outside to play, which means you stretched and strengthened your muscles and soaked up lots of fresh air and Vitamin D. Along with your burgers and hot dogs, you ate strawberries, tomatoes, cucumbers, Swiss chard, beans and melons from your garden and enjoyed roasted zucchini from your neighbor’s abundant harvest. You relaxed with a good book or good music on the beach or the patio, by the pool or the creek and rejuvenated your mind as well as your body. You left home for a vacation, experienced a change of scenery and reconnected with loved ones. You took time to sit back, reflect, regroup, refocus and plan your next steps. As we slide from September sunshine into October’s crisp mornings and evenings, what can we do to maintain our physical, emotional, mental and spiritual health? Here are just a few ideas. None of them is original, all of them are borrowed. I recently read “Wool,” an enormously successful science-fiction novel by Hugh Howey. I don’t normally read sci-fi, but I’d seen and heard enough rave reviews of the book that I decided to read it for myself. Why am I discussing a novel, especially a science-fiction novel, on a health blog? Hang with me. I have my reasons. “Wool” tells the story of a group of people who’ve spent centuries surviving in a huge underground silo drilled deep into the earth – one-hundred and fifty-plus levels, if I remember correctly. Each level has a different function. Some contain gardens, others host shops and restaurants, and others have infirmaries and law enforcement quarters. The residents live near their places of employment. Mines and miners are on the lowest levels. Generators and pumps and the mechanics who keep them in operation exist above them. The supply rooms and staff are even higher. And up it goes to more “important” departments, like IT. One long, spiral staircase connects all the levels and all the silo people. The only way to see daylight is to tread the winding, metal stairs to the topmost level, which has huge windows that display, via camera lenses, the overcast, windswept, lifeless, toxic landscape outside the silo. Few people make the trip on a regular basis. Are you feeling claustrophobic yet? I did while reading the book. take for granted.... Read full article here on beckylyles.com. …parties and presents, shopping and sharing, STOP! Yes, stop right where you are, take a breath—and look down. Because Jesus came to earth as God-with-us Immanuel, wherever we are, He’s there. He’s before us, behind us, beside us. His arm is around our shoulders. “Just as the mountains surround and protect Jerusalem, so the Lord surrounds and protects his people, both now and forever” (Psalm 125:2 NLT). For those of us who don’t live in Jerusalem, or Bethlehem, or anywhere else Jesus traveled in Israel, the notion of holy ground is hard to grasp. The old hymn I Walked Today Where Jesus Walked begins with, “I walked today where Jesus walked, in days of long ago,” and ends with “and felt him close to me.” But the truth is, we don’t have to be in a certain country, cathedral or temple, or even in a particular position to be close to Jesus. If we know him as Savior, he’s with us and within us. The Bible says, “Christ in you, the hope of glory” (Colossians 1:27 NIV). God met Moses on the hot sands of a lonely desert. He approached Jonah outside a large city and walked with Shadrach, Meshach and Abednego inside a blazing furnace. He stopped Saul in the middle of a road with a flash of brilliant light. But now, because God sent his Son to earth to save us from our sins and come into our lives twenty-four-seven, he’s with us all the time. Whether we’re standing on a kitchen floor, a cement sidewalk, or the wide tiles of a shopping mall corridor, Jesus is with us – and we’re on holy ground. Yes, our Immanuel came long ago, and he will come again in glory, hallelujah! In the meantime, he’s here right now…loving us, guiding us, saving us. “She will give birth to a son,” the angel told Joseph, “and you are to give him the name Jesus, because he will save his people from their sins” (Matthew 1:21 NIV). Matthew then quotes an Old Testament prophet named Isaiah: “The virgin will be with child and will give birth to a son, and they will call him Immanuel – which means, ‘God with us.’” (Matthew 1:23 NIV) As the Baloche/Kenrick song “What Can I Do” says, what can I do but thank him, give my life to him, and make everything I do a hallelujah? Thank you, Jesus, for becoming our Immanuel. You are our hope of glory. After church yesterday, I stopped by a health-food store to pick up a couple items. By then, my breakfast had worn off, so I grabbed an energy bar to eat on the way home. However, when I exited the store, I saw a man playing a guitar on the corner. Although the sun was out, the temperature was in the low thirties. I wondered how his fingers could move in the cold. And then I remembered the pastor’s sermon – and how he said one of the secrets of contentment is to be generous. My taste buds were primed for an energy bar I hadn’t tried before, but I knew I could go home to a warm house and a full refrigerator. I put my purchases in the car, drove to the corner and rolled down my window. At that point, the car behind me honked, and I drove away.